Second-year head coach Chris Tamas and the Illinois volleyball team announced its 2018 schedule on Monday (July 16), featuring 31 matches, including 13 matches at Huff Hall plus the Orange and Blue Scrimmage. NORMAN — University of Oklahoma Vice President and Director of Athletics Joe Castiglione and Head Volleyball Coach Lindsey Gray-Walton announced the 2018 OU volleyball schedule Thursday. 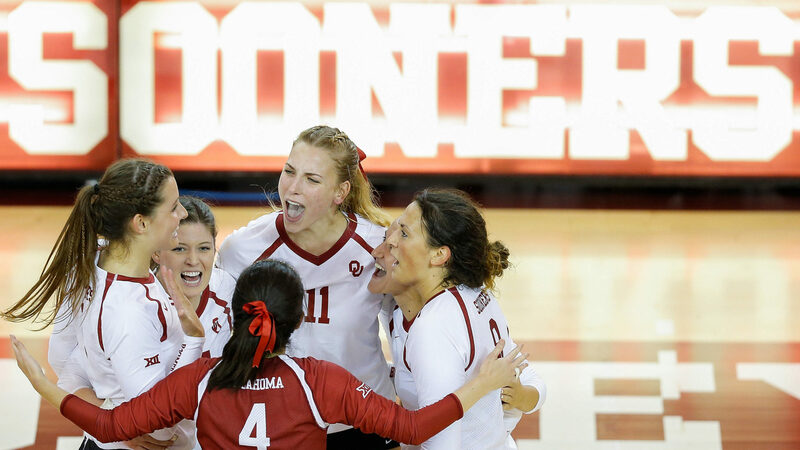 The Sooners’ schedule includes 29 regular season contests, including 11 matches at McCasland Fieldhouse. OU will also host Arkansas in an exhibition contest on Aug. 18. After their exhibition match, the Sooners open the 2018 campaign in Dekalb, Ill., at the Northern Illinois Invitational Aug. 24-25. The NIU Invitational is the first of four consecutive tournaments for OU, which will then travel to Orange, N.J., for the Seton Hall Tournament (Aug. 31-Sept. 1) and to Boulder, Colo., for the Colorado Invitational (Sept. 7-8) before hosting the OU Nike Invitational (Sept. 14-15). Oklahoma will begin Big 12 competition on Sept. 19 as it faces TCU in Fort Worth, Texas. The Sooners then return to McCasland Field House for conference matchups with Kansas State (Sept. 21) and Kansas (Sept. 26). Other home Big 12 matches include Texas Tech (Oct. 10), Texas (Oct. 13), West Virginia (Oct. 20), Baylor (Nov. 3), TCU (Nov. 9) and Iowa State (Nov. 14). In road conference contests, OU will also take on Baylor (Sept. 29), Iowa State (Oct. 3), Kansas State (Oct. 24), Texas (Oct. 27), Texas Tech (Nov. 7), West Virginia (Nov. 17) and Kansas (Nov. 24). Seven of OU’s 2018 regular season opponents competed in the 2017 NCAA tournament, including Seton Hall Tournament foes Pitt and VCU, Colorado, Kansas, Baylor, Iowa State and Texas. Season tickets for the 2018 OU volleyball season will go on sale in July, and more information will be released at a later date. Aug. 18 Arkansas (Exhibition) Norman 5 p.m.
Aug. 24 Xavier* Dekalb, Ill. 3 p.m.
Aug. 25 DePaul* Dekalb, Ill. 11 a.m.
Aug. 25 Northern Illinois* Dekalb, Ill. 7 p.m.
Aug. 31 Pitt^ Orange, N.J. 4:30 p.m.
Sept. 1 VCU^ Orange, N.J. 1 p.m.
Sept. 1 Seton Hall^ Orange, N.J. 7 p.m.
Sept. 7 Colorado# Boulder, Colo. 7 p.m.
Sept. 8 North Carolina# Boulder, Colo. 12 p.m.
Sept. 8 Georgia# Boulder, Colo. 5 p.m.
Sept. 14 Northwestern State$ Norman 11 a.m.
Sept. 14 Texas A&M$ Norman 7 p.m.
Sept. 15 Texas A&M$ Norman 5 p.m.
Sept. 19 TCU Fort Worth, Texas 7 p.m.
Sept. 21 Kansas State Norman 7 p.m.
Sept. 26 Kansas Norman 7 p.m.
Oct. 3 Iowa State Ames, Iowa 7 p.m.
Oct. 10 Texas Tech Norman 7 p.m.
Oct. 13 Texas Norman 7 p.m.
Oct. 20 West Virginia Norman 1:30 p.m.
Oct. 24 Kansas State Manhattan, Kan. 7 p.m.
Oct. 27 Texas Austin, Texas 7 p.m.
Nov. 3 Baylor Norman 7 p.m.
Nov. 7 Texas Tech Lubbock, Texas 7 p.m.
Nov. 9 TCU Norman 7 p.m.
Nov. 14 Iowa State Norman 7 p.m.
Nov. 17 West Virginia Morgantown, W. Va. 2 p.m.